it is getting colder so I needed a jacket and a new jumper. Second, the jumper is called flower mesh jumper. The photo colors the jumper a bit orange, but in real it is more off-white. I bought this one on eBay. It was the first time I bought something there, so I hope everything succeeds. Have you ever bought something on eBay? And last but not least, I have a new jacket for the winter. And I've fallen in love. This winter-coat is from Pull and Bear. And I am very happy with it! Do you know Pull and Bear? I hope they will arrive soon! What do you thing of my new jacket & clothes? Hii! Lately I've been searching for a perfect dress, I would like one that fits every occasion: a party, school or just casual. Yesterday I went to Breda for my study and at the ZARA I found this beautifull dress. You can wear this dress to a party, for instace at new year, but with a cardigan it is nice to wear to school or something. This dress is definitely on my wishlist. Wich one do you like better? Black or white? I don't like cleaning up my room very much. Maybe something recognizable. But it really was necessary. Last Friday I had a day off from school so i cleaned everything up and adjust some changes! Every once in a while i like to redecoraty my bedroom. 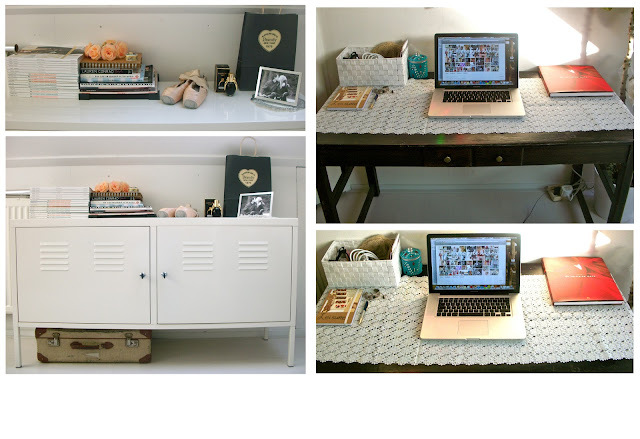 I really like my desk and the little closet. Below a few photographs of how it looks. My desk is vintage, but I found it a little boring because all of it is the same colour. So, I layed this very sweet lace sort of walker/carpet on it. On the little closet I juist put some things that I like & love. It looks very clean right now, I hope this will last for a while. Do you also don't like cleaning up your room? & What do you think of my room? Hii! 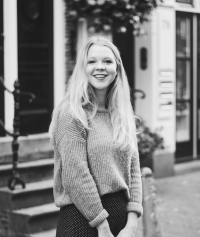 It is a new month, and a new look for my blog! I have been quite busy with restyling it. As you can see I have a new collage for the background of my title. I made this collage myself. I am very proud of it because it took a lot of time: but I finished! It is a (little) big collage, you only see the collage when you come to my home page and not already a piece of my post. Do you think this is annoying or disturbing or something? Or nice just this way? Tell me! Because it is not completely done. Also I've changed the type and the lay-out. For now I'm very pleased with the new looks of my blog! And you? what do you think of my new look? Last thursday I had to go to Amsterdam for a school assignment. The mission is to make a street in A'dam more attractive, so that more people will visit the street and the shops there. How cool?! Anyway I really like this project. And as we already were in Amsterdam ánd there was late night shopping we went to the centrum afterwards. 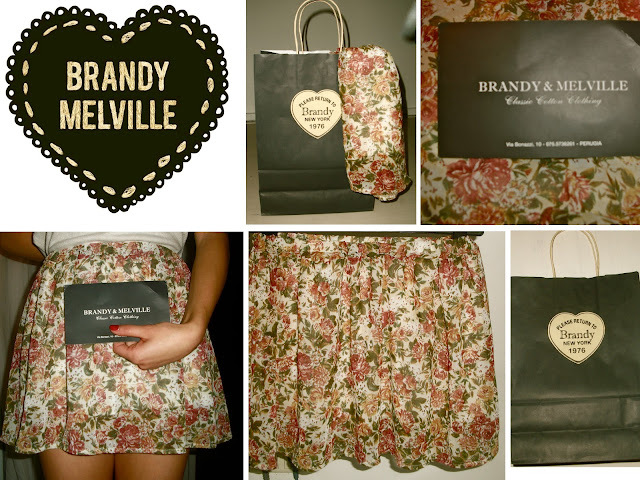 I've been to Brandy Melville and River Island. There I bought these lovely bracelets. 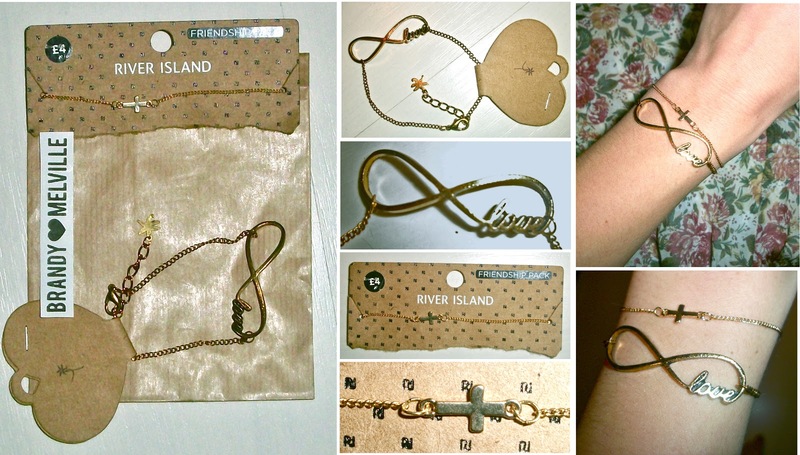 One with the infinity symbol with love in it (: and a little cross bracelet. I'm in love with them, what do you think? Latly I am very, very busy with school. 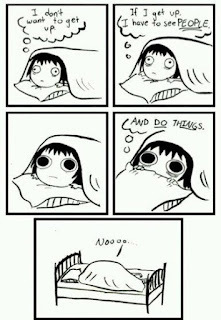 Today I have two exams.. In a couple hours I'll have my second and last one, about trends, nervous, nervous! 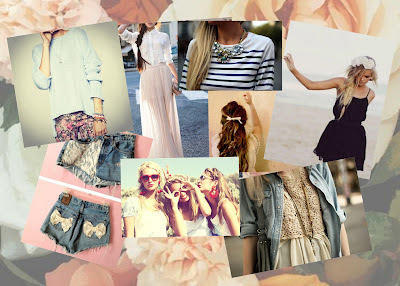 Also I am going to change the looks/the appearance of my blog (After my exams ofcourse). Maybe some of you know that the collage behind the title is from Brandy Melville (I love that store (: ). But I'm making my own collage now. 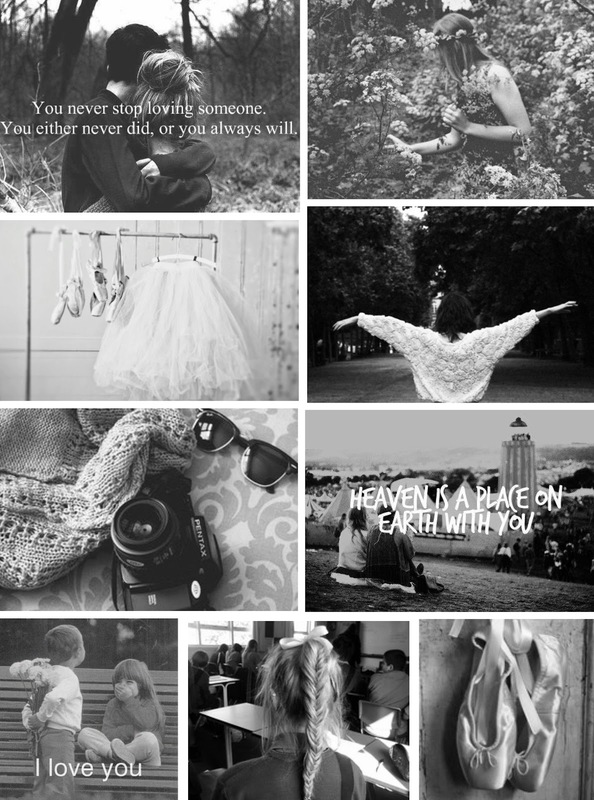 With my weheartit photograps for the 'background' of my blog! 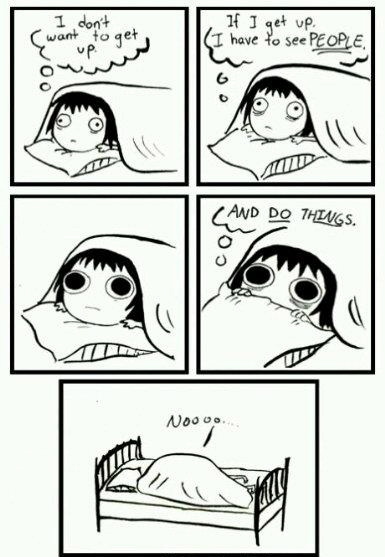 And now I'll go back studying, wish me luck! 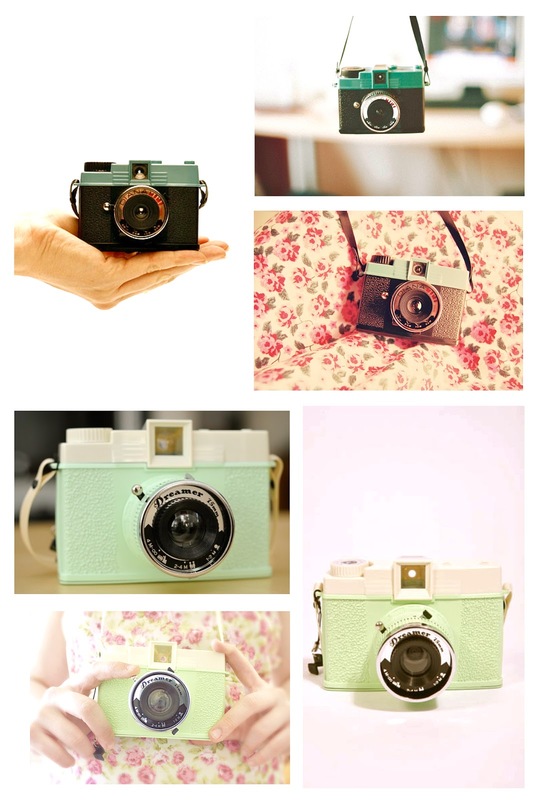 Wishlist: Do you want a lovely Diana camera? YES PLEASE. It has been a while ago since my last post, but i've been very busy. I have a new job: at the V&D (a dutch warehouse)! Well, on my wishlist... I i'm going to buy a Diana! I like these camera's very much. It works on photographic films, so you can only see the photographs after they are developed! I really like the 'old', retro design of Diana. But I am really, really, doubting which one i should buy! Because both Diana's are so nice & lovely. What do you think? The Diana mini or the Diana F+ Dreamer? The autumn is coming up and so you need to get (a little bit) warmer dressed. Hii! Maybe you already know, but I love vintage! This weekend I went to a vintage (sort of) market in Nijmegen: woman shop for woman. This is a concept whereby you can do vintage shopping for charity. The charity was to create a fashion school for women in Mali. It's a very clever and nice idea because you donate to a good cause and you can shop very original and beautiful clothes. I bought a ring, a bracelet and two jackets. The gold/green jacket is from a unknown fashion designer how cool?! 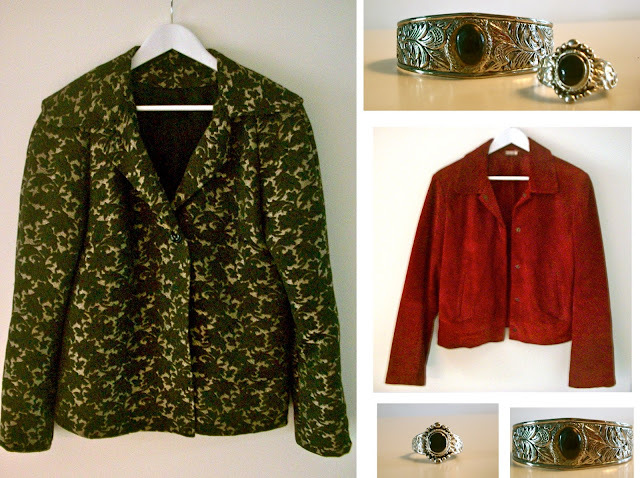 And for the bordeaux jacket: I'm going to fit it up/edit it, with studs and lace i think. Below some pictures of the things I bought! I just saw this on the beautydepartment! A bun and a braid with a touch of vintage i think. I'm really going to try this! I will post a photo of that later! What do you think of this hairdo? And are you going to try this? Today i've finally done a DIP DYE! With my sister Diede (her nickname is Died). 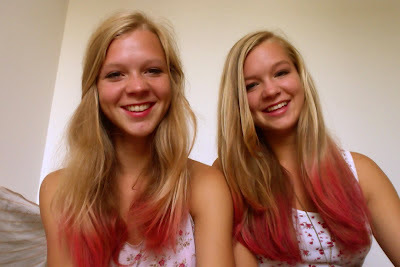 We wanted to be careful, because it was the first time we have dyed our hair since ever! So we dyed it with eyeshadow and hairspray!